PACT resident company Ninefold returns this October with its acclaimed 'Wyrd: The Season of The Witch'. Audiences are invited to witness this unmissable event; a story of malevolent ambition and uncanny horror performed with Ninefold’s hallmark power and precision for a strictly limited season of only four shows. * 'Wyrd' has a total lock out and latecomers will not be permitted to enter the theatre once the performance has started. Audiences are advised to arrive at least 15 minutes before the start time. As a collaborative and artist-led company, Ninefold’s 'Wyrd' has been envisioned, devised and created by its members. PERFORMING & DEVISING: Aslam Abdus-samad, Erica J Brennan, Victoria Greiner, Gideon Payten-Griffiths, Melissa Hume, Paul Musumeci, Shane Russon, Jessica Saras, Tabitha Woo. Ninefold is a Sydney-based theatre ensemble and one of PACT's resident companies for 2018-19. Founded by Shy Magsalin, the company was formed to investigate highly rigorous and disciplined ensemble performance-making. 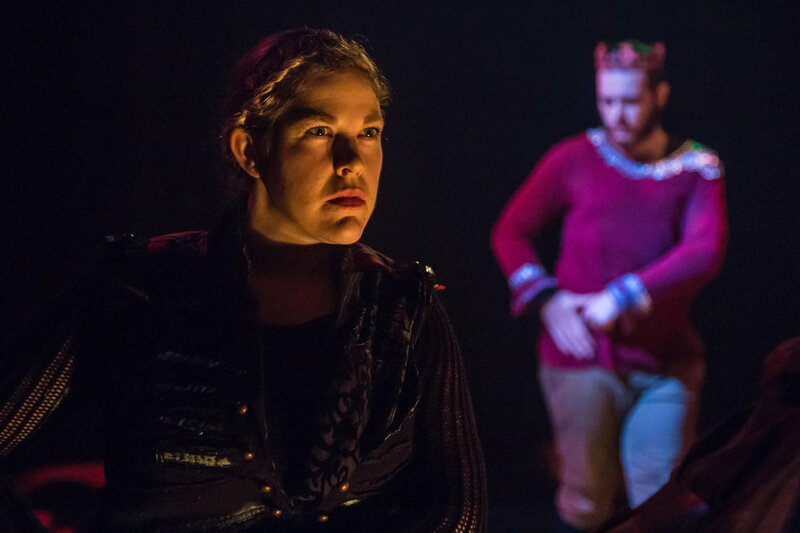 In 2016 they created their award-winning ‘Tragedy of Antigone' (Best Production, Best Lead Female Actor: Erica Brennan, Best Direction: Shy Magsalin The Buzz from Sydney) and presented the site-specific Tri-Becket at Don Bank Museum in North Sydney. The performing ensemble train in the Suzuki Method of Actor Training, a highly rigorous discipline designed to develop a highly articulate body capable of expressing and communicating with power and precision. The Ninefold ensemble is an atPACT Resident Company.